Congratulations! You have received a call from a hirer for an interview with your dream job at a company that you believe in. What now? Regardless of your interview type being a group interview, video call, or one-to-one real life interview, here are some things to take note. Preparation is something that you have the most control over, so put in effort during this stage. While it is typical for potential employees to do a google search on the company, you need to understand that everything that appears during a quick search online is also seen by all other job competitors. As such, you may want to dig through your connections on LinkedIn or via your alumni network to see if you can find out more. Knowing the company’s structure, core competitors, key business focuses, geographical concentration, mission statement, values, past performances and future expansions will be helpful in starting, maintaining, and adding value to a conversation during the interview. It would be even better if you can it down to a departmental level to show your analytical skills. By highlighting the tangible values that you can add to your organization through the role that you are applying for, you are making your employer’s job easier. If your company is too small, you may not be able to find out much online. In that case, do not hesitate to contact your employer for more information politely. List down the information that you need to signal your organizational skills as well as strong interest. If you know who your interviewer is, search for his profile on LinkedIn to get a better understanding of his background and what he may be expecting. Has he recently joined the company, or has he been working there for 10 years? If your recruiter is a media influencer, which may be typical in some aspects of fashion industry, you may want to drop him a private message. It is especially useful if you have been following him for a while. Do note that you need to follow up with a formal and professional e-mail afterwards! You can search for sample interview questions that your company has posted to past applicants via review websites or forums. If such questions are not available, you can search for general questions instead. Some of the answers are bound to overlap. To come up with job-specific questions, visualize yourself as the department manager and think about what he wants to find out from a newcomer. Chances are, your past experience, deliverables, and working style will come into play. With the interview questions set, try practising it with a friend. If you have a friend from HR, then you’re in luck! Gather genuine feedback. Here’s a bonus tip- Try videoing the process, no matter how uncomfortable it is for you to see a video of yourself. Ultimately, you can delete the video when you’re done. By viewing the video, you can monitor your behavior and change it accordingly. For instance, you may tend to fidget or play with your hair when you feel nervous. You may also use too much fillers such as ‘er…’ or ‘hmmm’ when you are thinking about the right response. Shifty eyes also make you seem unconfident, so keep a look out for that! Additionally, if you have been rejected for similar roles in the company previously, be prepared to answer appropriately when asked. The company’s HR is likely to have a record of your past applications. Make use of this opportunity to show how determined you are, and how much the company’s beliefs and values align with your own. This is your chance to show your never-say-die attitude. 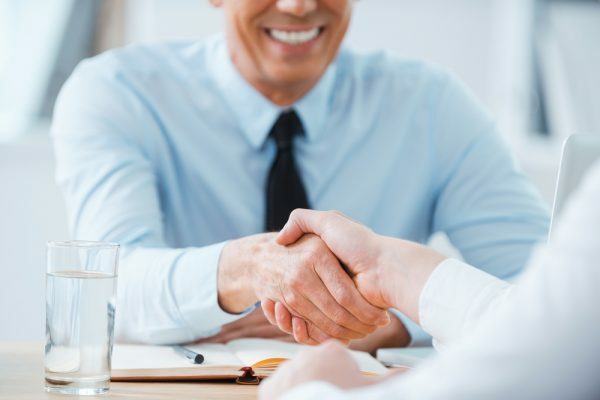 Being early for the interview not only creates a good first impression, but it also calms your nerves by giving you ample time to be accustomed to the new surroundings. You can even squeeze in some last-minute interview preparation. This is also your chance to explore how existing employees entering and exiting the company is like to get a sneak peak of the culture. Are they all rushing with frowns on their face? Are they all busy talking on the phone while waiting for a cab? Checking how to get to your interview location is extremely important. Factor in traffic jams, waiting time as well as time spent to exchange an entry pass. If you are driving, make sure that you know how the parking situation will be like. Lastly, throw in a few extra copies of your resume just in case someone else decides to sit in at the last minute. Needless to say, switch your phone to silent mode, preferably without vibration. More often than not, nervousness will start swelling up during the interview. Instead of forcing yourself to calm down, why not try something else? Research suggests that convincing yourself that you are excited instead can help you manage your anxiety better. Since both are agitated states, you can train your body to think that you are just excited. Take subtle, deep breaths, and you will be fine. Take comfort in the fact that you came prepared, and are ready to impress. If you do not understand the interviewer’s question, feel free to clarify or paraphrase it. Whenever in doubt, always ask. Also note the interviewer’s body language and know when to continue or stop talking. Do not be shy to drop a thank you e-mail to your interviewer. This is a great opportunity to remind them of who you are, and to include any other details that you may have forgotten to mention during the interview. If you have any good follow-up questions, ask away. This is especially useful if there are hundreds of applicants competing for the same job as you. The practical advice on how to stand out from the crowd should help you in your job interview. Good luck! Thinking of a career change? Here are some of the best paying careers in Singapore right now.